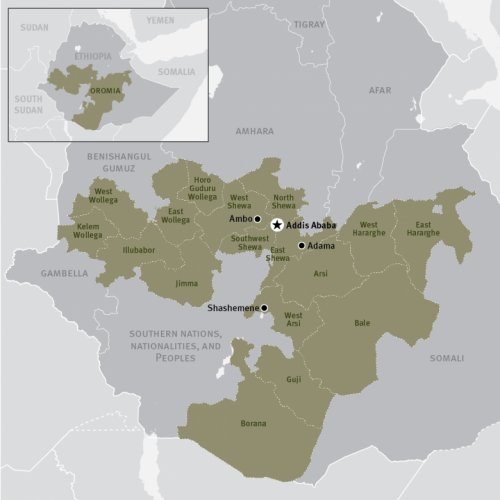 On Feb. 16, a day after Prime Minister Hailemariam Desalegn abruptly resigned, Ethiopia’s Council of Ministers declared a six-month State of Emergency (SoE). The Defense Minister, Siraj Fergessa, said the martial law was decreed to stop breakdown of law and order and a growing unrest that is endangering the constitution. Per Art 93(2) of the Ethiopian Constitution, the House of People’s Representatives must meet to approve or reject the decree within 15 days. It requires two-thirds majority vote to be approved. If it fails to garner the required vote, the constitution stipulates, the decree shall be repealed forthwith. Members from Oromia and Amhara States control the majority of the seats in the one party controlled parliament. Lawmakers are expected to return from recess and vote on the decree early next week. In a remarkable, first-of-its-kind campaign for Ethiopia, Oromo activists are posting online the local MPs phone numbers and asking constituents to call and demand that they vote as a block to repeal the draconian decree. These MPs have a duty to halt gross human rights abuses on their constituents through endless military crackdown. The legislators could easily abstain from voting, thereby throwing out this roundly rejected SoE. The decree grants sweeping powers to the Command Post, which oversees SoE and is chaired by Fergessa. To implement the SoE, the Command Post is empowered, inter alia, to close any medium of communication, restrict movement, conduct arrest and seizure without court warrant and enter the premises of schools and universities to detain individuals and “take necessary measure.” The decree also banned disseminating and publishing materials that discredit or oppose the SoE and regulations adopted for its implementation. 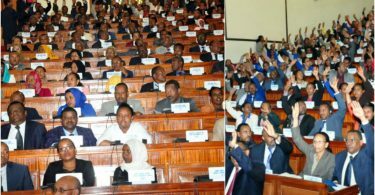 The Council of Ministers passed the emergency law despite the failed attempt of a prior SoE, which ended last August after 10 months, to quell the unrelenting protests in the state of Oromia. The protests began in 2014 over opposition to the infamous land-grab scheme of Addis Ababa Master Plan. It ultimately spread to the Amhara state and parts of the Southern Nations and Nationalities region. Ethiopia’s constitution, under Art 93, requires stringent conditions to be met in order to warrant the declaration of SoE, which has the effect of suspending rights except those regarded as non-derogable under national and international human rights instruments ratified by the country. In its General Comment 29 on the International Covenant on Civil and Political rights (ICCPR), to which Ethiopia is a signatory, the U.N. Human Rights Committee states that not every disturbance qualifies as a public emergency and the situation must “threaten the life of a nation.” A breakdown of law and order, which is, according to the Council of Ministers, endangering the constitution and constitutional order simply does not meet that threshold. In other words, there are no immediate threats to the life of the nation. In fact, a day before the SoE was reimposed, Ethiopia’s Minister of Communication, Negeri Lenco, told the Voice of America’s Tigist Geme “there are no grounds for the declaration of a state of emergency.” Shortly after the SoE is decreed, Foreign Minister Workneh Gebeyehu told diplomats in Addis Ababa, “there are no security concerns in the country” contradicting government’s claim of grave danger to the constitutional order. The constitution also requires the situation to be: that “which cannot be controlled by regular law enforcement agencies.” Officials in Oromia have time and again reiterated their ability to keep law and order using regular state law enforcement agencies. Yet federal security forces continue to create a menace for regional states by killing civilian protesters with impunity. This includes at Timket festivity in Woldia, Amhara state, and on Internally Displaced People in Hamaressa in eastern Oromia. Similarly, more than one million people have been uprooted from their home by the onslaught of the Somali Liyu police with tacit support from federal military and security officials. Since his ascent to the premiership in 2012, following the sudden death of Meles Zenawi, Hailemariam Desalegn has largely remained in the shadows of his predecessor. He’s been unable to assert control over the ruling Ethiopian Peoples’ Revolutionary Democratic Front (EPRDF). Under his watch, security forces killed thousands of unarmed protesters with impunity, particularly across Oromia, Ogaden and Amhara states. Hailemariam simply could not stand up to the dominant Tigrayan People’s Liberation Front (TPLF), which still controls the national defense and security forces. EPRDF is deeply divided. 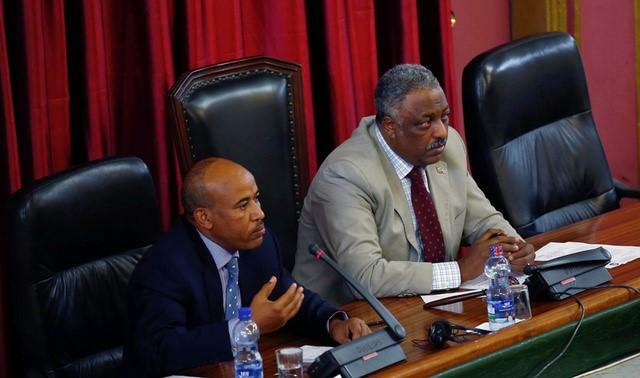 Tensions continue to mount within the four coalition partners, particularly between TPLF on one side and the Oromo People’s Democratic Organization (OPDO) and Amhara People’s Democratic Movement (APDM) on the other. TPLF’s political influence and its hegemony is waning but no one expects them to stand aside without a fight. OPDO, under its highly popular deputy chairman, Lamma Magarsa, have shown the political will to reform and open up the political space. This sent TPLF scrambling to reassert its absolute hegemony. The prime minister must be a member of the House of People’s Representative. This constitutional hurdle essentially excludes Lamma from the race. OPDO is gearing behind Dr. Abiy Ahmed who is an MP. In an apparent push for the premiership, the party has elected Abiy as the party’s leader replacing Lamma. Hailemariam’s inability to assert control over the TPLF-dominated establishment means the next leader inherits deep political turmoil and a humanitarian crisis. Averting the existential crisis requires, inter alia, major policy changes, including the repeal of oppressive legislations; freeing the judicial system from executive branch interference; making the armed forces non-partisan and accountable for the atrocities they commit; and genuinely implementing the federalist constitution by respecting the regional state’s autonomy. TPLF may prefer to put its weight behind another strongman to reassert its waning control over the country. However, the unrelenting Oromo protests indicate that the country is at a critical juncture and repression would exacerbate the crisis and tip the country over the edge — culminating in a potentially devastating civil war. The EPRDF regime actively employs the legislature and the judiciary as instruments of oppression. The 2009 Anti-Terrorism proclamation (ATP) stands out as the prime example of Ethiopia’s use of legal mechanisms to stifle dissent, particularly from the majority Oromo. 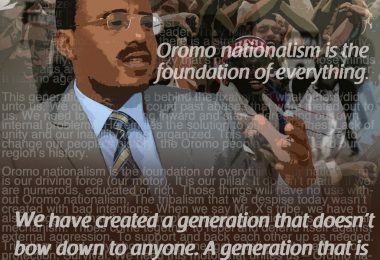 The judiciary have been aggressively interpreting the ATP to criminalize legitimate exercise of constitutionally guaranteed basic rights of expression and assembly as “acts of terrorism.” This resulted in making the Ethiopian prisons, as former Defense Minister and TPLF leader, Siye Abraha, put it, “speak Afaan Oromo.” Any real or perceived support for the right to self-determination of nations nationalities and people’s — a right which cannot be limited or suspended even during a SoE as guaranteed under Art 93(4)(c) of the constitution — lands Oromo citizens behind bars, forces them into exile or results in their extrajudicial execution in a broad daylight. 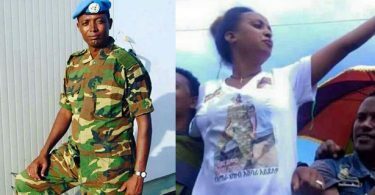 The EPRDF regime continues to use the Oromo Liberation Front, a rebel group that struggles for Oromo rights, as a pretext to systematically persecute and kill off Oromo dissidents. 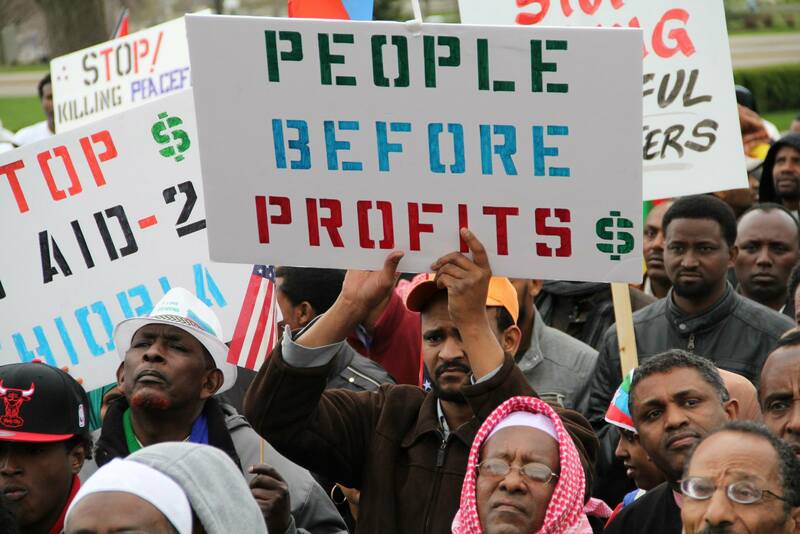 This has not deterred or extinguished the Oromo movement. To paraphrase Dr. Merera Gudina, who was recently released from prison after more than a year of imprisonment, the incumbent regime has lost legitimacy and must go beyond rhetoric and open up the space for opposition political parties. The OPDO has signaled its intentions to level the playing field in Oromia. In a statement earlier this month, the party pledged to work with all political parties in and outside the country to advance Oromo rights. This gesture was quickly welcomed by a number of Oromo political parties, including the diaspora-based Oromo Democratic Front (ODF), which made a failed attempt to return to Ethiopia in 2015. Among other priorities, Ethiopia’s next leader must move to repeal the ATP and a string of oppressive legislations. 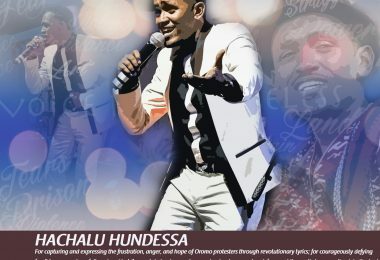 Oromia can continue to lead the ongoing reform efforts by initiating a bill through Caffee, the state legislature, to amend or repeal these laws that together crippled free expression and decimated opposition parties. Regardless of who is appointed, the next prime minister inherits a deeply fractured party and a country under a state of emergency. Members of parliament can make that task a little easier and pavé the way for much-needed reforms by repealing the emergency decree. Oromia Special Interest Law: Who owns Addis Ababa?